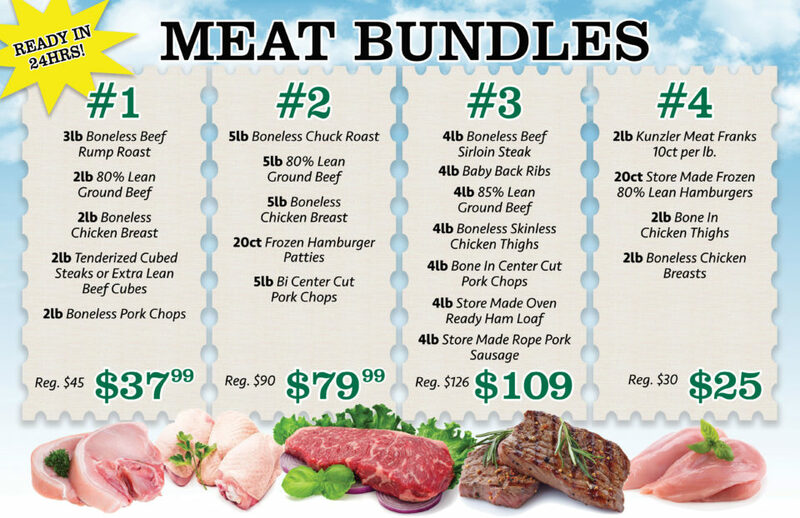 These meat bundles are priced right for every family. Simply contact our meat department at 717-354-4981 ext. 817 and order yours today. All orders can be ready in 24 hours or prepared for a time that fits your schedule.